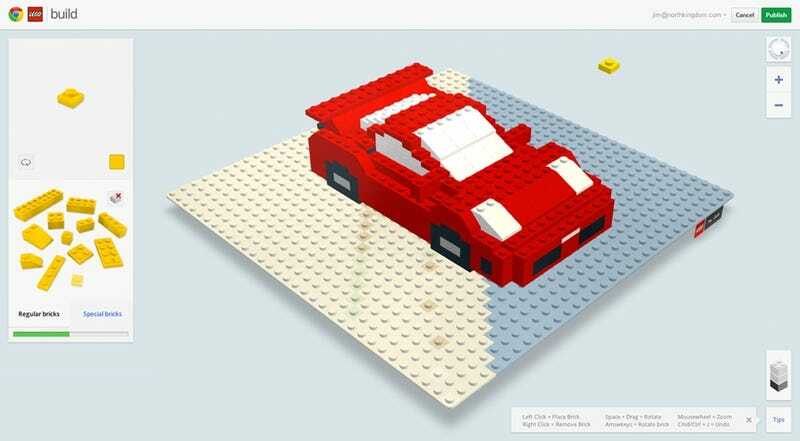 You can build a cyber LEGO thing in Chrome using Build With Chrome. There are color changes, block rotations and extras you can play with. I've never been very good with LEGO, so most of my stuff looks like modern art (I did not create the featured car). Don't blame me if you waste away your afternoon.